Cribbage, wheezes, new hat and, oh yeah, A TRANSPLANT DATE! Picture this, on one side of an antique trunk sits an 80 year old Korean War vet who is a whiz with numbers. On the other side sits someone whom you are sure is a pregnant man with his giant belly resting between his legs. One has age-appropriate short-term memory loss for his 8 decades. The other, a bald guy, wheezes and coughs and has trouble with numbers, dates and has a memory that is not characteristic to 49 year old people you know. Now let me state the obvious that cribbage-playing readers know. 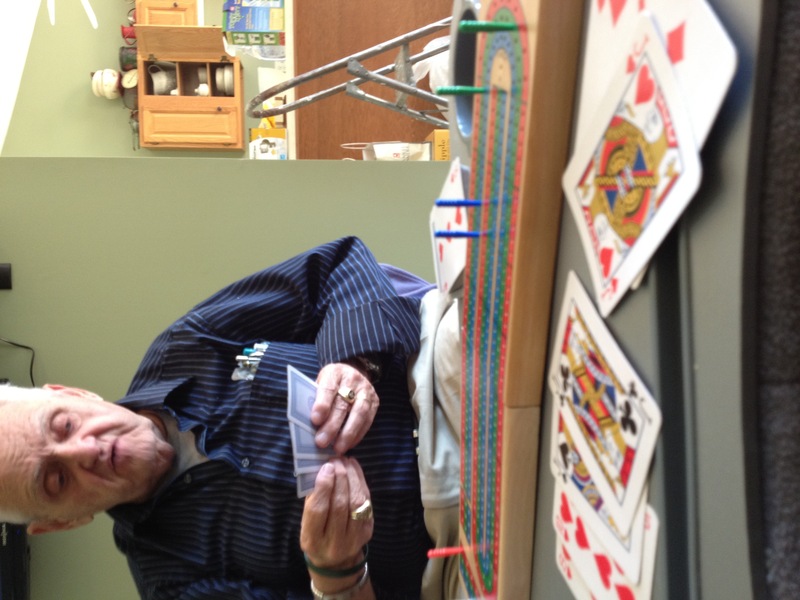 Cribbage is not the best game for people suffering with memory loss (whose crib? should we cut? I think you just counted the crib twice. Whose turn is it?) Add the guy with the number issue and a comedy is born. The players? The old guy is my daddy and the gut-monster, bald, wheezing guy who couldn’t pour water out of a boot with instructions on the heel is me. But it was one of the best afternoons I have ever had with the laughs, and chaos and mostly, spending time with my dad. It’s actually quite a gift when chronic disease opens your eyes to the most special times in life. I’m thankful for that but, yeah, I wish I had figured it out before staring death in the eye. Wheezer ain’t my favorite band. I might have to have more fluid drained from my lung but Dr. Tien (my heptologist) wants to try to wait until surgery if we can. So, praying army, send one up that I can hang on and manage. Welcome to Red Sox nation. Diggin’ that hat, Billy! Today I got a Reds hat in the mail. I was sure Bill sent it. No, it was my son Josh. 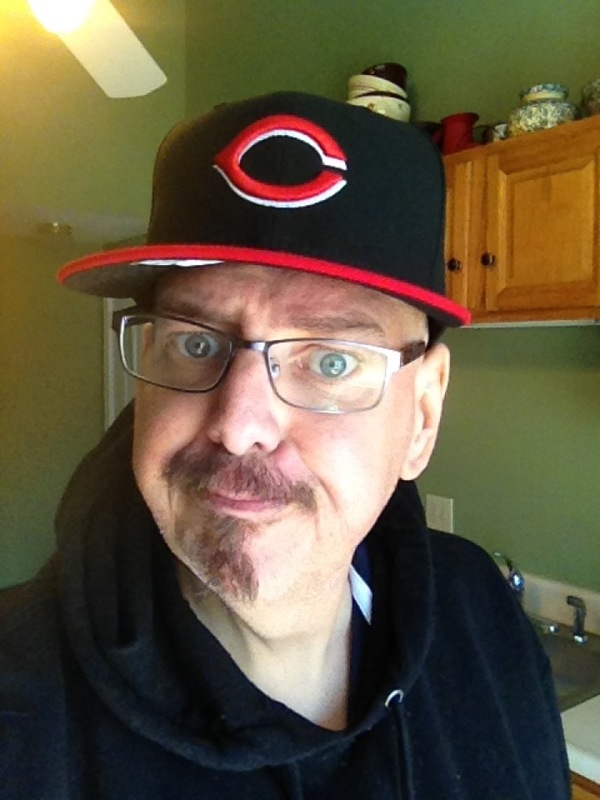 He ordered a Reds hat for each of us to wear to honor my friend and his 1 year transplant anniversary date of May 16. I’m thinking the baseball heavens might just be quaking! Yes, I am scheduled to have the transplant 9 days from today. Josh will give me a chance to live and celebrate weddings and spoil my grandchildren. He will give up to 60% of his liver in an adjacent operating room. He’ll endure pain while his liver grows back to 100% in a month or so. Dr. Pomfret will be his surgeon. She’s a pioneer and one who many would call one of the top transplant surgeons in the nation. Next door I am blessed to have another one of the top in the country, Dr. Pompacelli. His team will remove my entire diseased, scarred liver at the precise moment when the other team makes the final cut disconnecting the portion of Josh’s liver. How do I feel? Stunned, relieved, terrified, hopeful, a bit worried. Other words? Prayer, praise, music, thankful. My pain and discomfort level is fairly constant but I see the promise of the end in sight. It makes it more bearable somehow. So, unless plans change (as they frequently do for transplant patients), in 10 days I will begin phase 2 of this journey; the recovery process. Please pray that BOTH Josh and I stay healthy and catch no bugs. Pray for peace for both of us (Thankfully, Josh did not inherit the scaredy-cat genes of his daddy). Pray that I represent my Jesus well; the Jesus of the ancient scriptures not the man-remodeled Jesus so popular today. Pray for my sweet Robin. As an introvert she doesn’t reach out and tends to keep things inside to be shared only with her dearest friends. You guys know who you are. And please, pray for my kids and my whole family as they endure a stressful day of awaiting updates during two long surgeries. 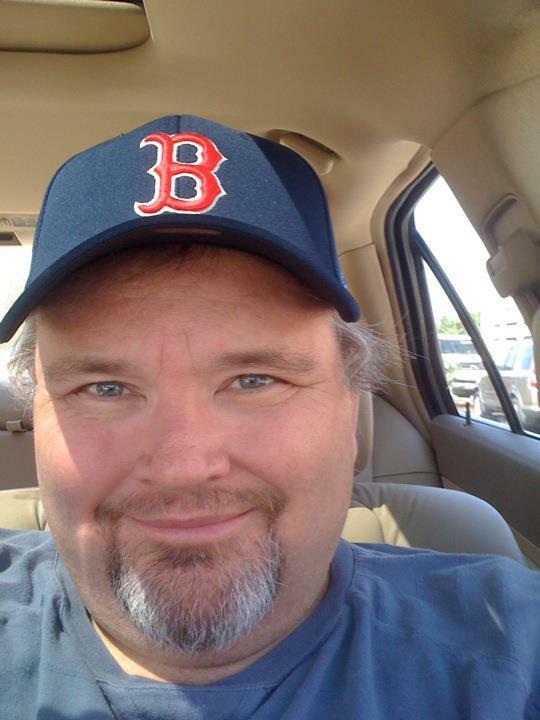 This entry was posted in chronic illness, discouragement, End Stage Liver Disease, facing death, Find God, hope, Jesus, Liver disease, NASH, organ donation, Uncategorized and tagged bear with one another, chronic illness, cirrhosis, direction, faith, fear, focus, give life, help, Lahey Clinic, Liver disease, living donor, NASH, organ donation, surgery, transplant. Bookmark the permalink. 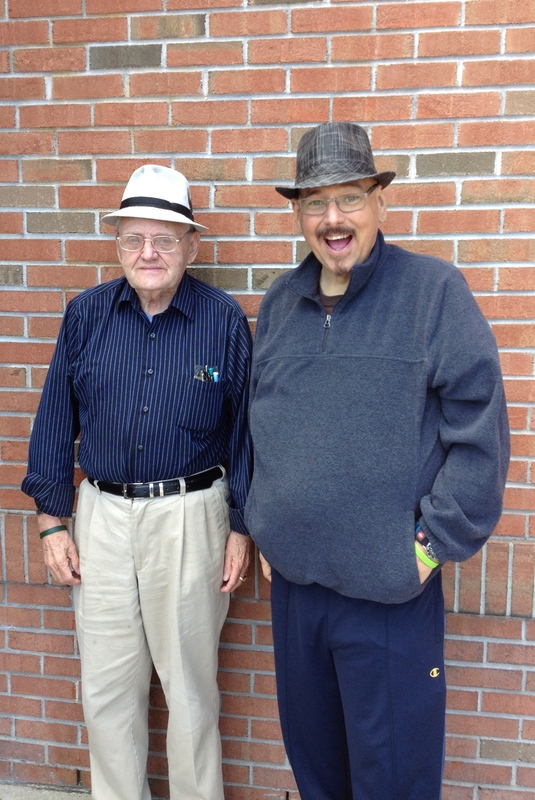 7 Responses to Cribbage, wheezes, new hat and, oh yeah, A TRANSPLANT DATE! Prayers for May 7th!! Your surgeons and health practitioners will all be at the top of their game…You and your brave son will come through this with great success. You both will heal quickly as you all begin your next chapter…God bless! Scott, we will be praying for you. We ARE praying for you. And that wife of yours; she is so precious to me that to me, she is that God-send. No coincidence there. None at all. I pray for that peace that surpasses any understanding to rest on you and your mind, and on your family. What I’m thinking is how Cool is our God to make you so cool and wonderfully expressive. Glad to be your remote pal. I don’t look to many for inspiration, it’s mostly a lame human fixation. You, however, Scott, inspire me. May I have the insights and the grace God is giving you when my 4th stage decides to stop dinking around and goes for it. I’m guessing I might not, thus I’m saving your journey notes and my plagerize them (and dare you to go after me). And that kid, Josh. Good seed, good watering, and look what you get. Anyone who is or close to someone who is facing major medical transaction, the kind that risks death while saving from death, read Scott’s blog herein. Insightful and uplifting presentation of how a follower of the True Jesus facing terminal disease maps the journey; hard stuff, painful stuff, wonderful and joyful stuff…with a pretty darn good ending. So happy for you, Scott – this is great stuff! I too enjoyed many a cribbage game with my dad, and would give anything for the chance to do it just one more time (he passed away in 2008). In just a few more days, you and Josh will share a father-son bond even more amazing than the ones that form over the card table – and that is truly saying a lot! I’m not a sports fan, but I can also appreciate the love between you and your new liver-friend-brother and find the way that you guys are supporting each other inspiring. And of course, I’ll continue to pray for you, Josh, Robin your medical team, and everyone else on “Team Linscott” that all will go well and bring glory to the One who is making it possible. With hope and best wishes for the smoothest of sailing and a safe and speedy recovery for both you and Josh… so that there will be many more cribbage and baseball baseball games in your futures. Love ya! I love your writing, I love your faith, I love that you, in the face of extreme adversity, can sit down and write so eloquently. You make me laugh and you make me cry and that my friend is a talent only God can bestow. I hope when this is over and done that you will return to the pulpit and preach because I want to be there to hear you speak. I know you don’t think you are inspirational but you are. You inspire me to quit my complaining because my problems are small by comparison to what you are going through. You inspire me to be kinder and gentler and more compassionate towards others. You make me think about Jesus and the man he was and what he accomplished in 33 years and you make me believe that He is, was, and will always be my source. I wish I had your gift for sharing that passion that I have for HIm in the way that you do. I believe in prayer and I am now witnessing and sharing in the joy that answered prayers can bring. I’m almost ready to put the duct tape away ’cause you aren’t going to need it much longer… have a great and blessed day Scott. You have earned it.